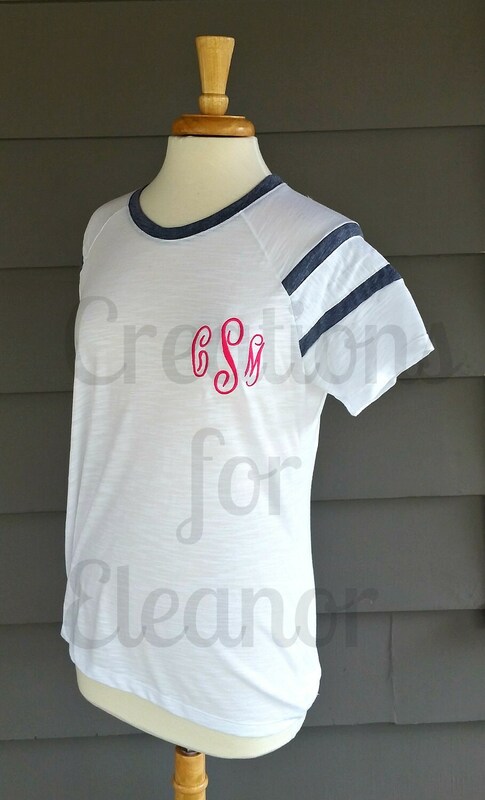 Add a monogram to this updated women's short sleeve, raglan sleeve t-shirt. 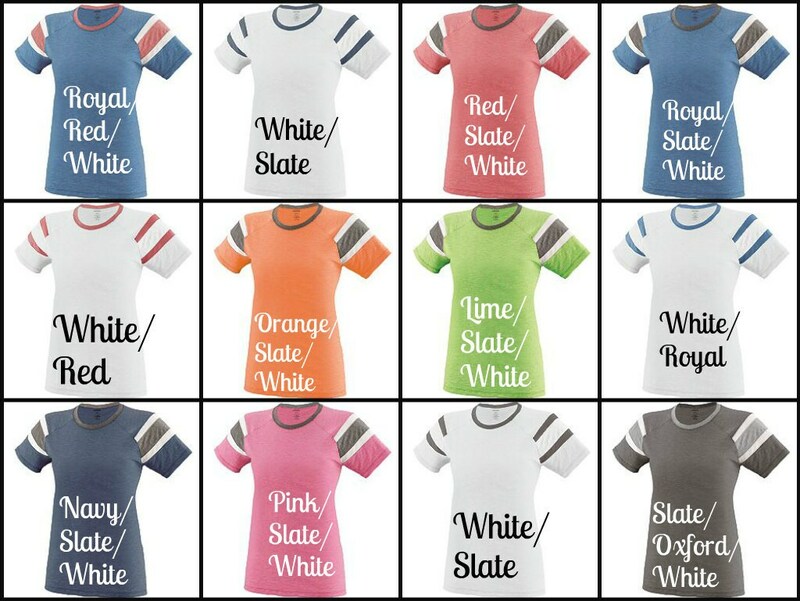 Shirt is constructed from 50% polyester/50% combed cotton slub fabric and has a contrast color self-fabric collar The raglan sleeves have a contrast color sleeve insert and sleeve stripe. The ladies fit shirt has a semi-fitted silhouette and double-needle hemmed sleeves and bottom. 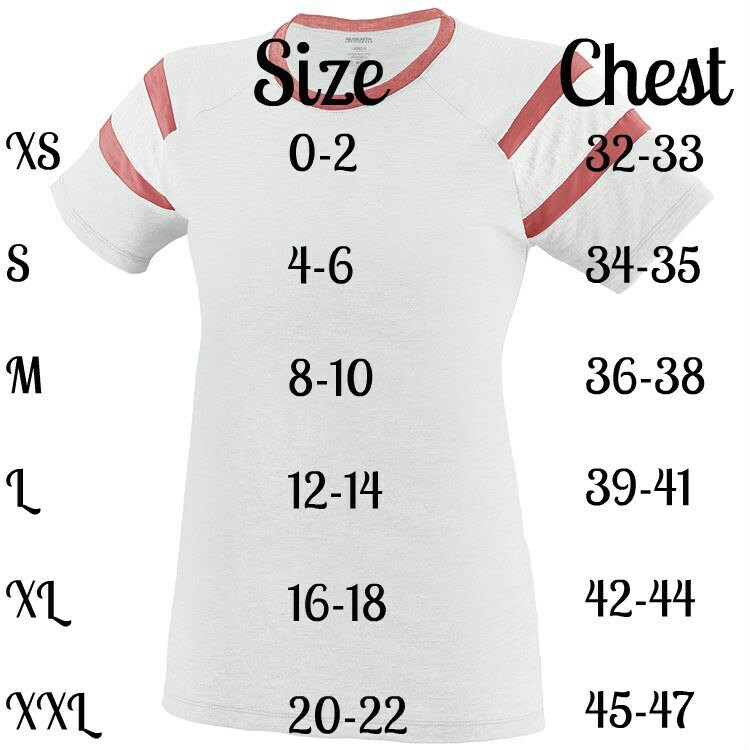 Shirt can be monogrammed on the chest as shown or the lower side. The thread color lead is the best match to the slate color.